Out came the pins and clips for this green shot. Great green selection. So nice on black. Fab pop of green ! 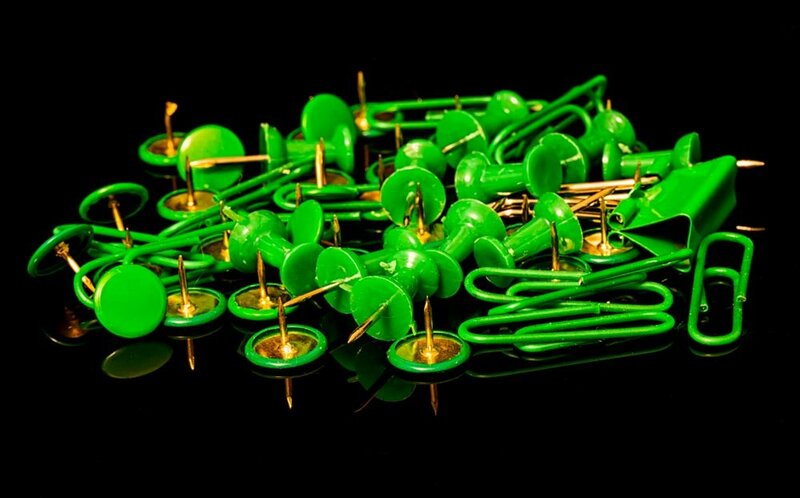 Great green pins and clips. Very clever shot for green -- my eyes hurt looking at those sharp tacks! Yikes, they're green all right!! Fun on the black background.